Mega Power Star Ram Charan will turns 29 today. Charan was born on March 27th 1985 into the family of Mega star Chiranjeevi and Smt. Surekha in Chennai. After completing his education, Charan made his acting debut in 2007 with Puri Jagan’s ‘Chirutha’. Super Stardom followed in 2009 with S.S. Rajamouli’s ‘Magadheera’, which went on to become one of the biggest hits in the Telugu Film Industry. Charan is in great form at the Box Office these days. He last release, Yevadu went on to become super success and sent the cash registers ringing. 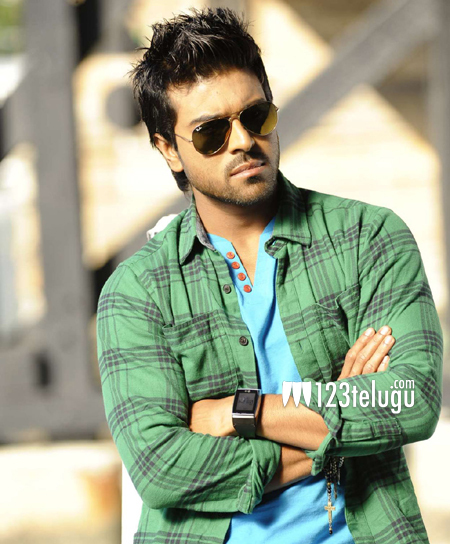 Charan will next be seen in Krishna Vamsi’s Govindudu Andari Vaadele this summer. Considered as one of the best dancers in the industry, Charan is proving to be a worthy successor to his illustrious father. 123telugu.com wishes Ram Charan a very Happy Birthday and wonderful year ahead.